I have one piece of advice for you: Wake up early. But I’ll get to that soon. 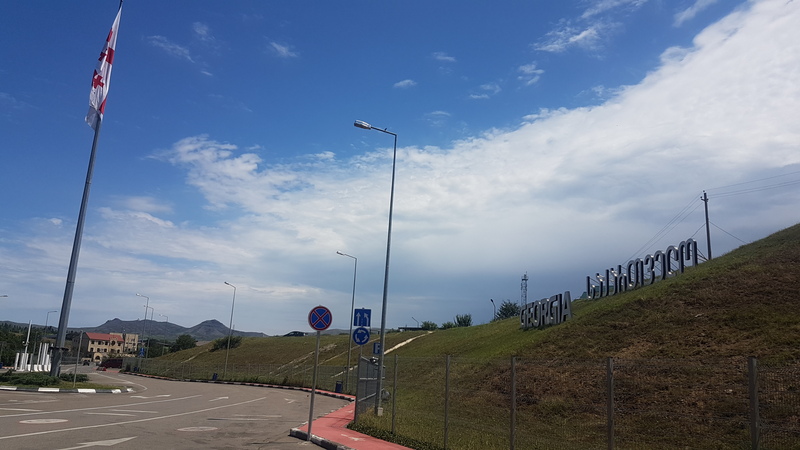 We had decided that a bus would be a cheaper, much more pleasant experience than the train given that we could enjoy the scenery as we went along rather than have a repeat of our Baku sleeper train experience. Another factor being that we’d also seen on the national rail website that all trains between these two destinations were cancelled for the foreseeable. Total lie – they clearly just hadn’t updated their website since the 80s. First off, there are a few things you need to understand about travelling by marshtruka. 2.) …and from no place in particular. That’s right. Nobody really knows where they go from. This is evidenced by the fact that I could easily walk down a road in the middle of nowhere and put my arm out to a passing marshtruka; the driver would stop, pick me up, and this was now an official stop etched onto the map for all eternity. For example, have you ever asked the National Express driver if he can drop you off at the end of your road on your way back home, as he’s literally going right past it? “No, sorry mate. I can’t open the door”. Well that’s not a thing here – marshtruka-driving is a ‘jobs-worth-free’ profession. There’s no bell, but drivers will just stop wherever you tell them to, as far as I can make out, including on a highway with no clear onward option – you just need to negotiate with them when you first get on. 3.) Congratulations, you’re now an amateur contortionist. There seems to be no limit to number of people that can fit into a marshtruka, apparently. As I sat on the floor at the very front, one limb out the window and another one being slowly chiselled away by a bone that also belonged to me, I couldn’t help by wonder if this was how I’d go. 4.) Seatbelts are for the weak (and risk-averse westeners apparently). It’s the kind of ride you’d usually, in fact, definitely, buckle up for, but no such opportunity. You can easily, as I did, experience a van which has a half-cracked windscreen, a deformed wing mirror and a hand brake that doesn’t work, but still have high-speed wifi! 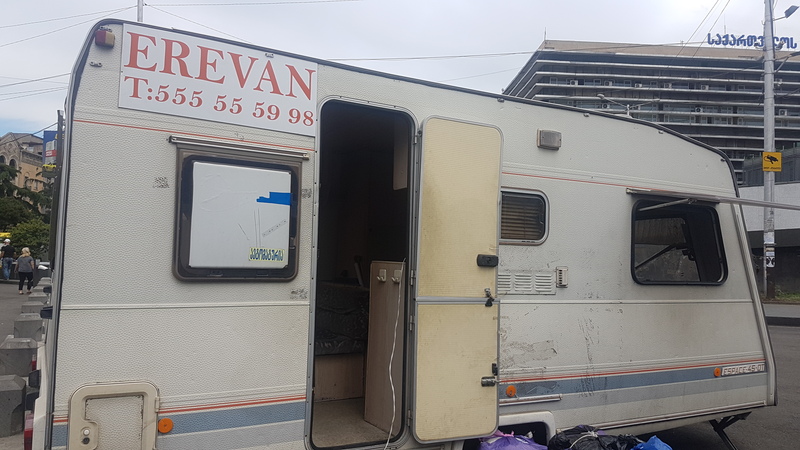 Yere-caravan? Cara-yerevan? Carevan? This waiting room amused me more than it should have. 5.) Can you hack the pressure? I always like to pay before I get on the bus because of the social pressures involved with paying a driver as I get off a half-moving vessel, whilst attempting to determine a price in a language I don’t understand and pluck payment from an array of insane coins I don’t recognise. The plight is real. 6.) Oh thanks for your help! Not. 80% of the time if you look lost and are struggling to find your marshtruka amid the hundreds of vans (that will happen), all with squiggly letters in the windows that are sending your mind into a spin, you will be met with a friendly-looking face who ushers you over – “Yes! Come!”. This is no marshtruka driver. This is a pseudo-marshtruka driver. In fact, some might call this shape-shifting creature a ‘taxi driver’. Beware! Marshtrukas are way cheaper, so keep asking and pointing until you find your dilapidated van. Where does the marshtruka from tbilisi to yerevan leave from? We had heard that the marshtrukas left every hour, on the hour, so made sure we got to the correct station at 8:30 to claim a decent seat for the long ride. I say the ‘correct station’, we had also heard of two places from which you can take a van. 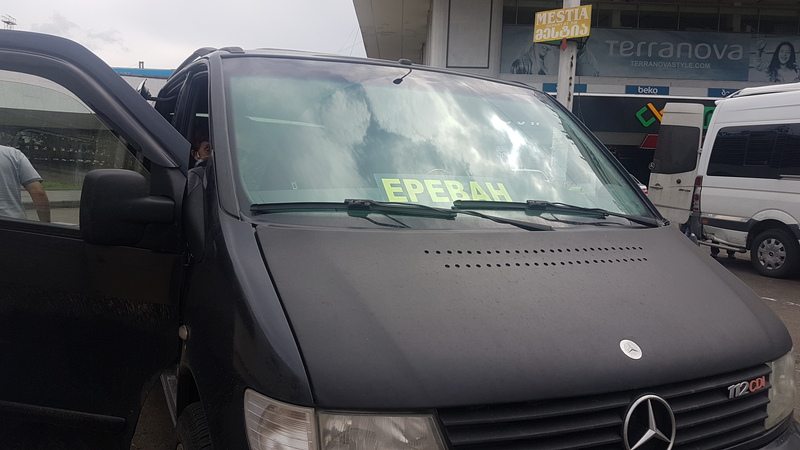 I had been to Alvbavari Station a few days previous to check out some Armenian churches, and I saw several vans with ‘Yerevan’ in the window. This felt like a better option to me, but we stuck with ‘Station Square’, and I was glad we did as had we gone to Alvbavari we wouldn’t have gotten a seat as the bus actually went there after Station Square. 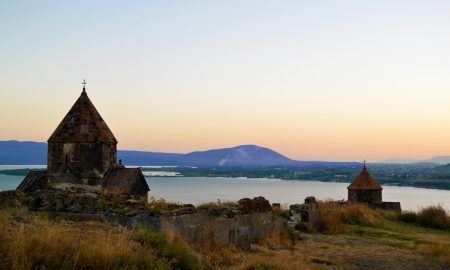 I’m pretty sure Alvbavari is more of a depot for the vans, as most of the drivers lived in the area due to a big Armenian presence. Indeed, this was where I was dropped off upon my return to Georgia. From here, you go down two flights and head out the back door into the carpark where there will be a handful of buses waiting. You have to trust the shady-looking man at this point, because he will take your passport and go and buy your ticket for you. He told us the next marshtruka would be at 11am. At this point I got slightly frosty with him, and he agreed to 10. 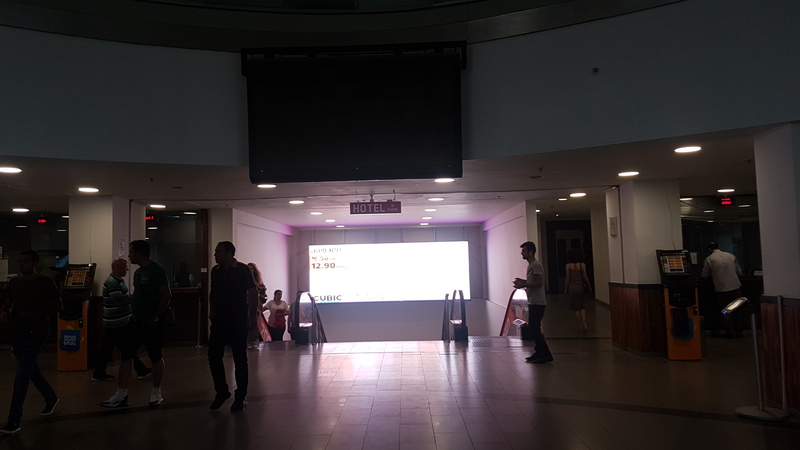 I initially felt pleased, but having been handed back my ticket I then saw “11am” scrawled in huge letters at the bottom. He sent us off to get coffee and lobinyani, and reserved us the “best two seats” in the front. He told me he loved me and wanted to marry me. I just wanted to eat pastries. The buses generally just leave when they fill up, so we ended up leaving at about 10:30 in the end. The bus was a mix of travellers and locals and cost just 20 Lari each (approx. £6.50). Annoyingly we stopped at the hostel we had just come from to pick up a woman, and we also passed a second station, Ortachela, where there were clearly way more buses and taxis going to Yerevan, although these all looked to be private hire. 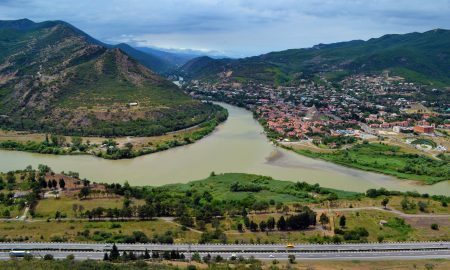 Cruising towards the Georgian border. We left Georgia pretty quickly and hit the border in under two hours. The border process was easy. I had heard stories of being quizzed if you have stamps from Azerbaijan in your passport, but there were no such issues. In fact, the passport control officer attempted to have some banter with me! 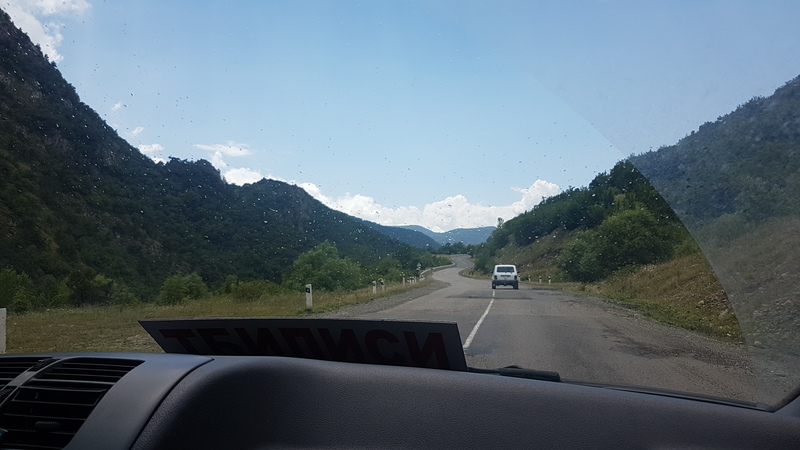 It was ten minutes on that side, back into the van, then a one-minute drive to the Armenian border for another smooth ten minute transition (only because we had to wait for some people to get visas). It was strange how quickly the landscaped changed, and indeed the roads. I have never seen so many frickin’ potholes in all my life! The driver was veering left and right, all over, and off the road to avoid them – and we could only do 15 mph! 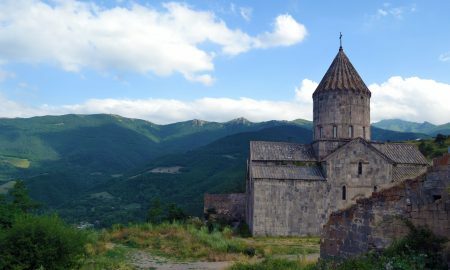 Other drivers were also avoiding them so it made for an interesting first hour and introduction to Armenia. To be honest, I can’t explain how diabolical the roads were by the border! But the views more than made up for it, as they were pretty spectacular. The mountainous landscape was just as green as Georgia, with hints of orange and yellow. And the drive itself was pretty fun! If you can ignore the poor road conditions and just focus on the type of scenery you tend to get with endless hairpin bends, then you’ll appreciate every minute. At one point, to my amusement, the driver even stopped to make me lean across the road to another driver and grab a usb stick off him so they could swap music – an interesting system! 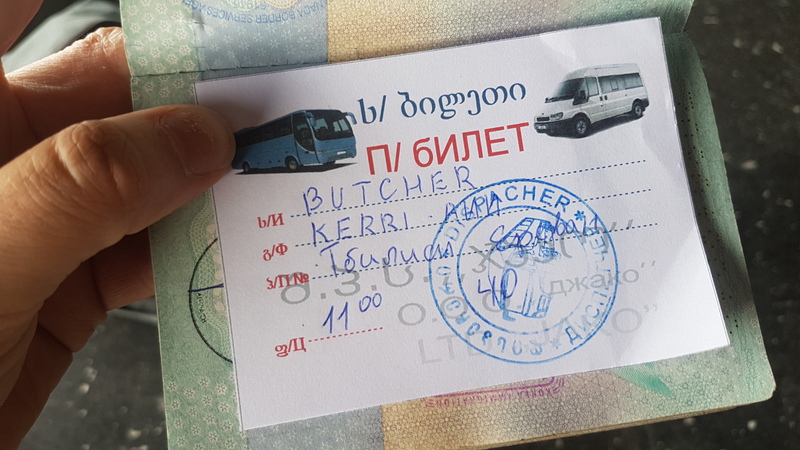 We stopped about an hour out of Tbilisi and got some snacks, which is where I unfortunately left my credit card as I would later find out, but I noticed straight away how incredibly cheap things were there. The trip took seven hours in total. I’ve heard of it taking six, but I don’t see how, as we had no delays. The traffic was slightly thick coming into the sweat-box that is Yerevan, but that’s to be expected. Overall, despite the initial difficulty in finding the van and getting it to actually leave, the marshtruka from Georgia to Yerevan was actually one of my favourite journeys! 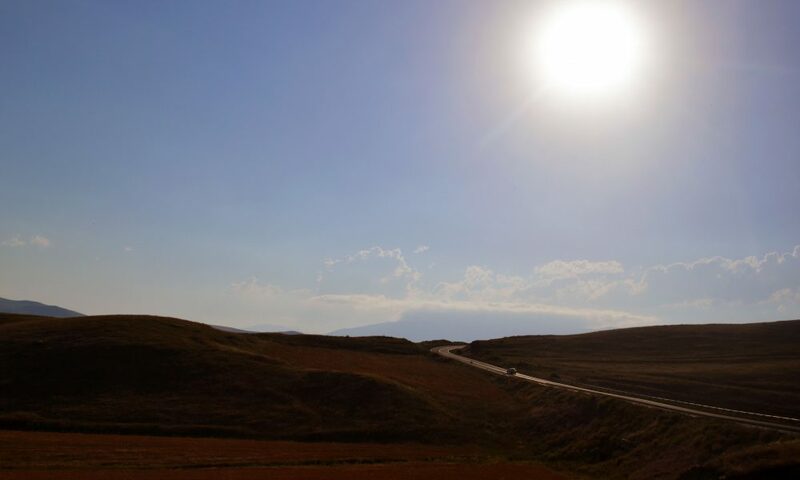 I sort of knew from the off that I was going to fall in love with Armenia, and so maybe I was slightly more tolerant than your average Joe, but I can’t think of a better way to make such a spectacular journey! The journey back is also not without hints of confusion. 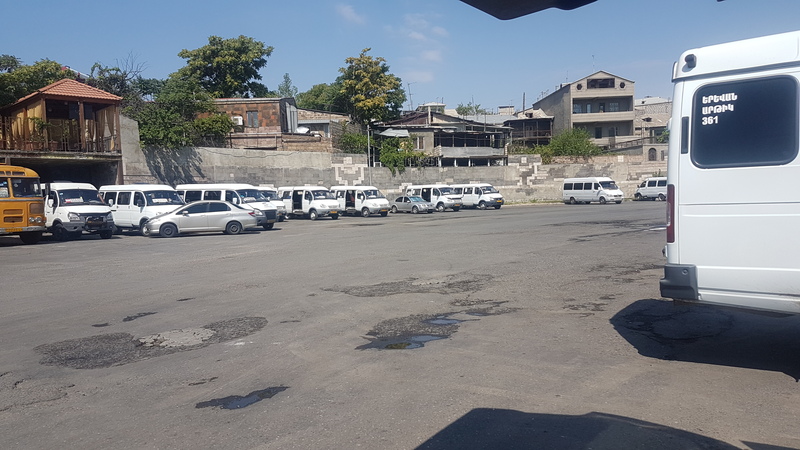 While many of the buses go from Yerevan North Station, which is a bit like London Southend in that is located nowhere near London, your bus back to Georgia departs from ‘Kaliki’ Station. It’s also not very central, so you’ll want to take a cab here. You’ll also want to make sure you have cash. I had done my usual thing of getting down to my very last pennies to avoid having leftover currency, so I thought I would pay by card, or take out the exact amount at the ATM. This was a bad idea. Not only do they not accept card, but there is no ATM at the station. I asked the lady at the ticket booth where I could get cash, and she sent me into the underground walkway and down the road. Shock horror, the ATM was broken, as was the next one I tried. I ran franticly back to the bus, assuming they would have driven off with all my possessions, and without me. They hadn’t. In fact, the driver was exactly where he was when I left him – smoking a cigarette and waiting for the bus to fill up (it never did, there were five of us). I managed to convince the driver that if we stopped at an ATM en route, I could pay him. He was down with this idea, although it wasn’t until we were at the border crossing that he remembered! The journey back was uneventful. We stopped at what was labelled a ‘bistro’. Here the driver invited me, and nobody else, for lunch. Everyone peered at me through the window wondering how I’d gotten this golden invite to eat with the driver I hadn’t paid. 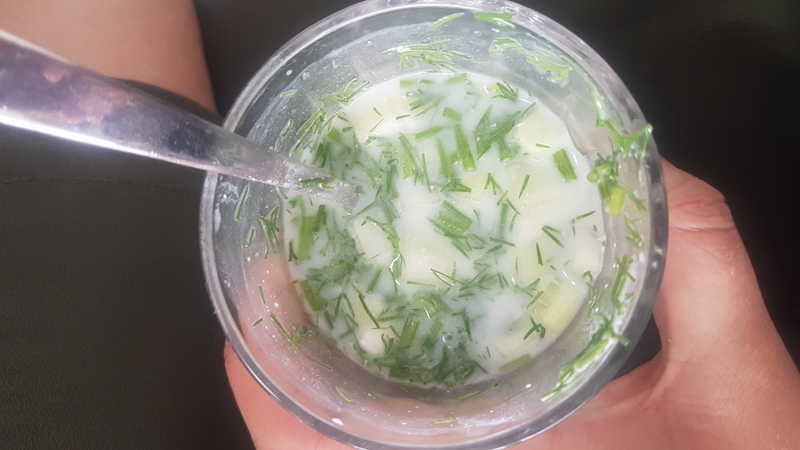 The gesture was lovely and all that, but he brought me a very strange concoction of (what tasted like) sour milk, copious amounts of dill and cucumber, to which he insisted I add unhealthy amounts of salt. I wouldn’t mind, but I hate both dill and cucumber in equal measure, and I can’t drink milk. Sadly I didn’t know enough Armenian to argue this one out. Once again the border crossing was simple and took under five minutes either side. A very simple bus journey that is pretty difficult to balls up so long as you have cash and a willingness to drink local beverages, even ones that you are allergic to!